Hello, friends and neighbors in the Lake Jackson area! Have you been searching for the right dentist to repair your crooked, stained, or chipped teeth? The team at Distinctive Dental Services wants to end your search! We specialize in porcelain veneers, which are a wonderful, minimally-invasive solution for cracked, stained, or chipped teeth. Porcelain veneers in Lake Jackson are custom-fitted glass-like porcelain shells that are permanently attached to the surface of the teeth that need correcting. A veneer can transform a tooth’s color, shape, size, or length. The also closely resembles real life tooth enamel so you will look like you were born with a perfect smile. Our porcelain veneers in Lake Jackson are virtually indistinguishable from natural teeth – naturally perfect teeth, that is. 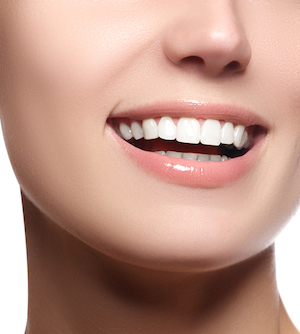 Because we offer porcelain veneers in Lake Jackson that are tailor-made and fitted perfectly to your teeth, you can repair multiple troubles at once with just one procedure. Fix chips and cracks without compromising the healthy tooth structure. When considering porcelain veneers in Lake Jackson, it’s essential that you have them done the right way by a legitimate cosmetic dentist. When done the right way, porcelain veneers can stay strong and beautiful for many years. Here at Distinctive Dental Services, Dr. Scott Elrod and our proficient team will ensure that your porcelain veneers are done right. Then we will provide you with the details you need so you can preserve your dazzling new smile! We also offer a variety of cosmetic dental services such as dental implants, dental crowns, bridges, and teeth whitening. If you’re interested in high-quality dental services, call us at 979-297-0337. Our team looks forward to seeing you.